Necklaces can be such a delicate addition to an outfit, but one that really can make others look twice or three or four times. 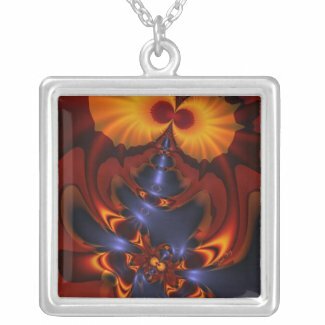 I have quite an array of necklaces at Zazzle … spread all across my shops. I have brought some here for you to see and at the bottom are many more from all my different stores. 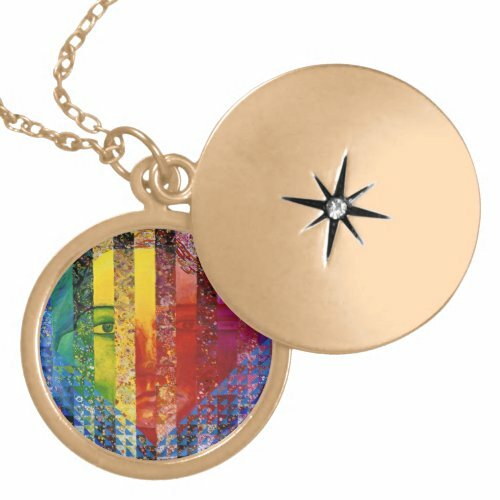 Each of the necklaces are available in the different sizes, metal color and design. This gentle, light filled necklace makes me feel happy and joyful. The spiral in the middle suggested to friends that this is a sea shell. Others felt it had to do with the sky and heavens from the color and delicacy. So this is the resulting Heavenly Sea Shell. The face in this Bubblescape is of Quan Yin, from my goddess painting In the Garden. You can see the swan, Lilies of the Valley and the pond from the same image. Quan Yin came to this Bubblescape and together they create Peace. Many feel inspired when they see Peace and it is a lovely spiritual reminder throughout the day. I have been having a great time creating Mandalas lately. I have always wanted to make them and a friend showed me how. This particular mandala hints to me that one is standing in the middle of a meadow with towering trees all around. The trees are so high that when one lies on one’s back, one can see the sky … as in Forest Dome Mandala. Golden Eyes is from my Halloween Fractals series. She is a little spooky but I also see the beauty she creates! I love the liquid lines and swirls of her dress and hands. I also find her eyes mesmerizing. Golden Eyes is great for Halloween … but a real conversation starter at any time of the year!